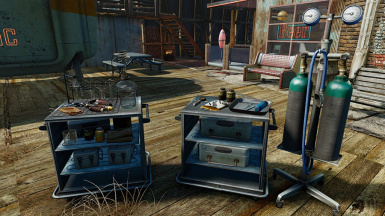 Brings the My First Infirmary and My First Laboratory from Fallout 3 into the Commonwealth as Workshop items. 1. You are allowed to make changes to the mod for PERSONAL USE ONLY! If you advocate or promote Mod Drop on your channel, either the in videos or video descriptions, all permissions to review/use my mod in your reviews, mod showcases, and Let's Play videos are rescinded. 1. 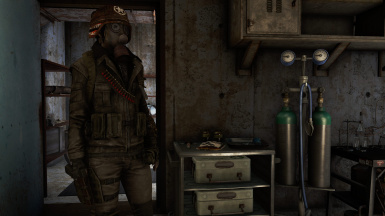 You may not upload the mod or portions of the mod to Bethesda.net or ANY other website. 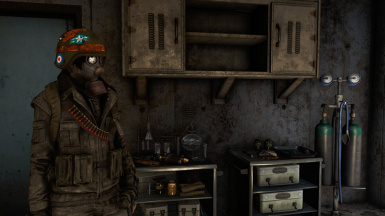 If this mod is found anywhere but on Nexusmods.com, it has been stolen. Please report it as such. 2. You may not make changes to the mod and upload it as a “patch” or anything else. 4. You may not upload, share or otherwise distribute this mod or any of its files to any mod “sharing” (theft) service such as ModDrop. 5. 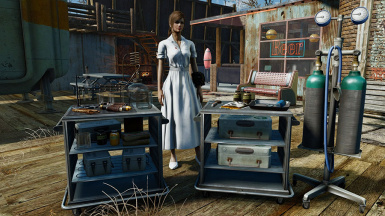 You may not include the mod in “mod packs” or similar collections of mods. 6. Commercial use or selling of the mod or any of its assets is strictly prohibited. I am open to having my mods translated to other languages provided you contact me and ASK PERMISSION FIRST! It’s a simple courtesy, and chances are I will be cool about it provided you agree to a few simple rules. 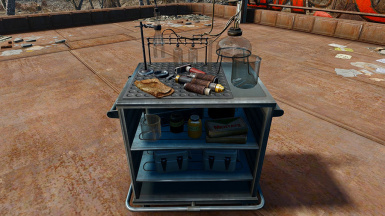 Thanks to fadingsignal for permission to use his miniature chemistry set mesh on the My First Laboratory. 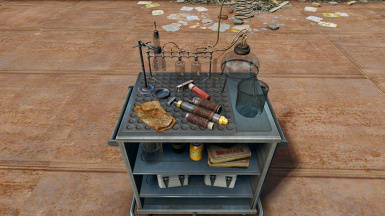 v. 1.1 now adds My First Laboratory as a workshop item alongside My First Infirmary! If you’ve played Fallout 3 than you’re probably familiar with the My First Infirmary and the My First Laboratory. 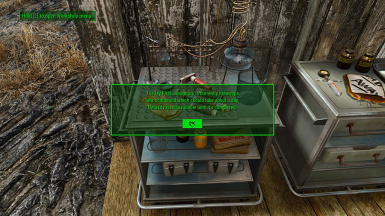 They were add-on items that could be purchased in-game for your player home in Megaton. 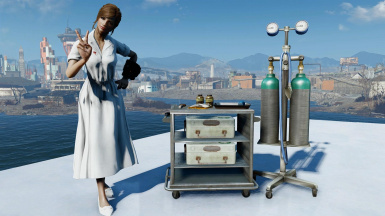 This mod is my attempt to bring My First Infirmary and My First Laboratory into the world of Fallout 4. 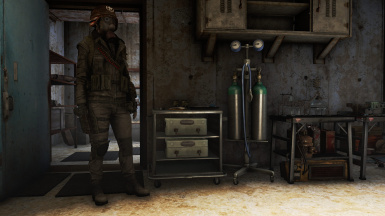 I’ve tried to recreate the appearance of both items from Fallout 3 using assets from Fallout 4. With some custom scripting, I’ve attempted to replicate the unique functionality of each device the best I can. 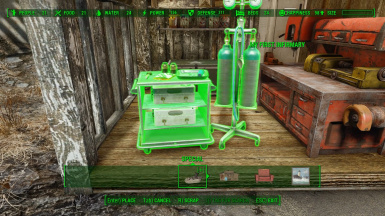 This is more of a nostalgia mod then anything else, so if the original item in FO3 didn’t do something, it wasn’t added to the mod and will not be added in the future. 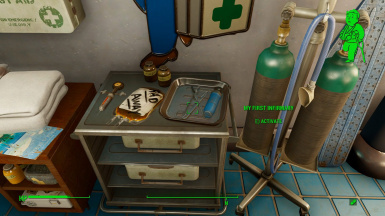 So what does the My First Infirmary and the My First Laboratory actually do? 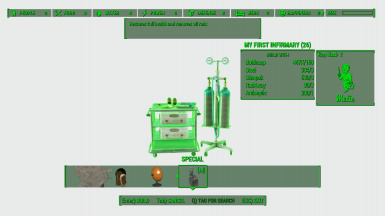 My First Infirmary removes all radiation and restores health and damaged limbs. 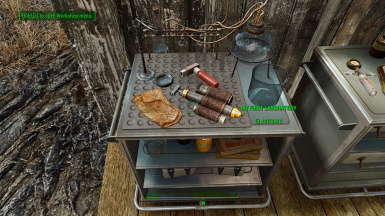 My First Laboratory cures addictions (with the exception of the cannibal Dark Craving) and produces a single random compound (chem) once in a 24-hour period. 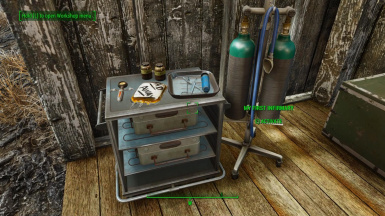 This mod makes both the My First Infirmary and My First Laboratory available as workshop items and are perfect for players who might not be interested in settlement building and don’t want to run across the Commonwealth to a doctor every time they need medical attention. 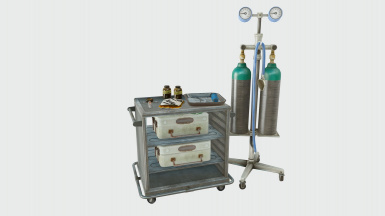 They also work well as alternatives to doctors in survival mode, as well as in Fallout: Frost. 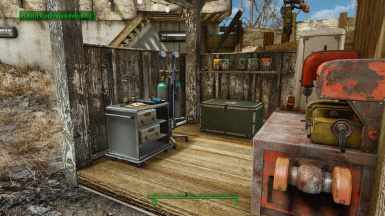 Yes, a lot of the need for the My First Laboratory is negated by Chemistry Workbenches, but...nostalgia, baby! 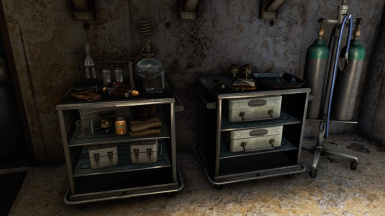 The My First Infirmary and My First Laboratory are found next to each other in the Special category of the Workshop menu. Place them both into your Data folder. Simply overwrite your previous installation. 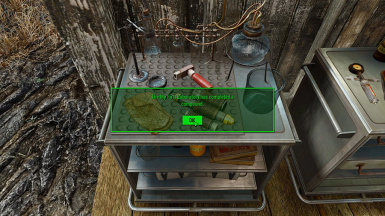 The ESP filename has been kept the same as the previous version so you *shouldn’t* lose any items built in v1.0. None so far. 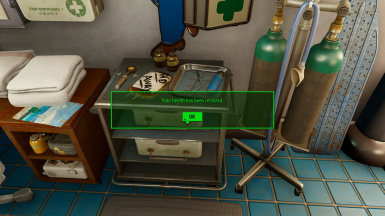 Mod has been tested in FALLOUT 4 v. 1.5.205 and 1.7.22.0, in games with 190+ active ESPs, with no issues found. 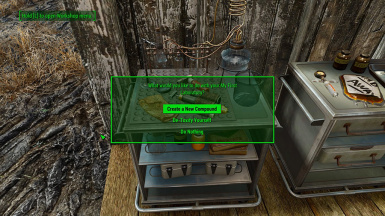 Also has been tested using Fallout Frost v. 0.11 and v.21 with no issues. 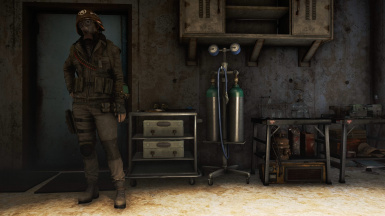 As info, the textures used in the photos and promo video are not included with the mod. The textures I use are from other texture packs available here on the Nexus. Do not redistribute or alter this work without explicit permission from the original author (RedRocketTV). 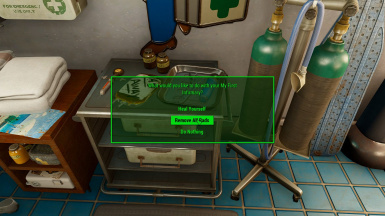 This mod will not be uploaded to Bethesda.net or any other site. 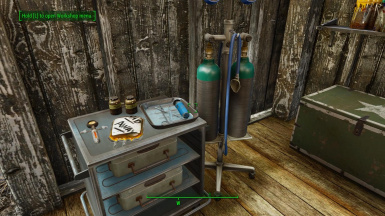 If you find it anywhere but on the Falllout 4 Nexus, it has been stolen. Please report it as such. 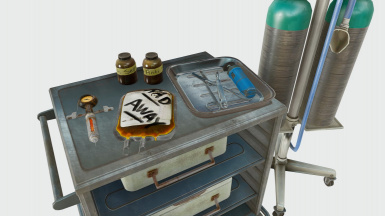 There will not be a console version, so please don't ask.